UN experts urge #Iran to guarantee the rights of #HumanRightsDefenders and lawyers – Farhad Meysami, Nasrin Sotoudeh, and Reza Khandan – who have been jailed for publicly supporting protests against the mandatory wearing of the hijab. Imagine we woke up one day to find that our esteemed bar association, founded in 1870, had suddenly been terminated by decree. All the assets of our association, including operating accounts, long-term capital investments, and real estate, had been confiscated. The members of our Executive Committee, the chairs of our various committees, and our leadership staff had been arrested and were facing severe criminal prosecution. The recent report of the United Nations Special Rapporteur on the Independence of Judges and Lawyers reveals that the above scenario is happening around the world. In Turkey, 34 lawyers’ associations, in fact, were shut down by decree and had their assets confiscated without compensation following Turkey’s declaration of a state of emergency in June 2016. The chairs, board members, and many regular members of those associations were prosecuted and imprisoned. In China, more than 300 detentions, summonses, travel bans, and other restrictions have been imposed on lawyers and law firm staff since July 2015. Obviously these are history’s extreme cases, but the City Bar is determined to learn from and not to repeat the failures of the past. We, therefore, must stand up for the rule of law wherever it is threatened. It’s why several of our committees – including those on International Human Rights, Asian Affairs, and African Affairs, and our Council on International Affairs – have consistently spoken out on behalf of lawyers and judges around the world. Further, it’s why the City Bar recently established a standing Task Force for the Independence of Lawyers and Judges. Since its creation, the Task Force has put on panels and Great Hall events highlighting crackdowns on lawyers, judges, and bar associations around the world, advocated on their behalf, and taken part in the global “Day of the Endangered Lawyer,” on January 24. They said they were concerned the terrorism charges were being used to silence people who work to protect the rights of Dalit, tribal and indigenous groups. Human rights experts from the United Nations on Friday expressed concern about the arrests of activists in the Bhima Koregaon case, and urged India to ensure that their cases are “promptly heard in line with international law”. Ten activists have been arrested since June under the Unlawful Activities Prevention Act. Five of them are in prison, four under house arrest, and one has been released since. The human rights experts said the vague definition of “unlawful activities” and “membership of terrorist organisations” in the law “confers discretionary powers upon state agencies, which weakens judicial oversight and diminishes civil liberties in the process”. 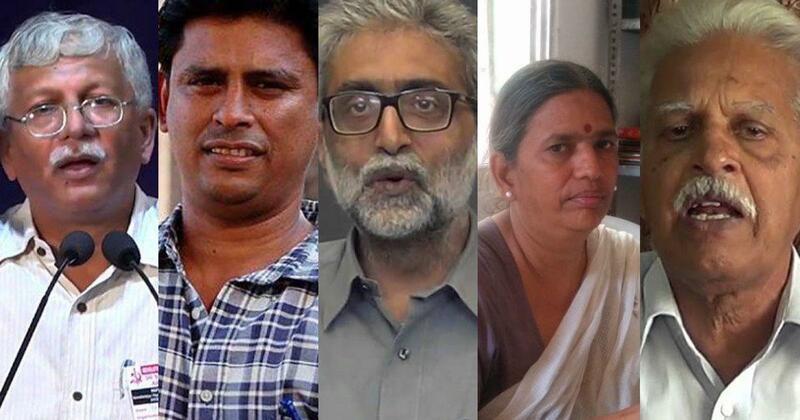 The Pune Police had arrested activists Shoma Sen, Surendra Gadling, Mahesh Raut, Rona Wilson and Sudhir Dhawale on June 6 as part of their investigation into violence during an event in Bhima Koregaon near Pune on January 1. On August 28, they arrested Sudha Bharadwaj, Gautam Navlakha, Vernon Gonsalves, Arun Ferreira and Varavara Rao. On October 1, the Delhi High Court said Navlakha’s detention was untenable by law and ended his house arrest, but the Maharashtra government has now challenged it in the Supreme Court. “We are concerned that terrorism charges brought in connection with the commemoration of Bhima-Koregaon are being used to silence human rights defenders who promote and protect the rights of India’s Dalit, indigenous, and tribal communities,” a statement by the UN experts said. 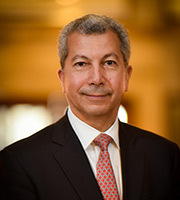 The UN Special Rapporteur on the independence of judges and lawyers, Diego García-Sayán, expressed dismay at the Supreme Court’s decision not to accept the application made by two convicted Supreme Court justices to have their case reviewed, saying he was concerned by reports of interference and serious irregularities in the judicial procedures that led to the convictions. The two justices were arrested on charges related to influencing official conduct of judges in the wake of the 1 February 2018 Supreme Court decision which ordered the reinstatement of 12 suspended Members of the Parliament and release and retrial of nine political leaders. Following the arrest of the two justices, the remaining three justices issued a new order, allegedly at the request of the President of the Maldives, overturning its previous unanimous ruling to free the nine leaders. Both justices were convicted by the Criminal Court in May, and affirmed with a reduced sentence by the High Court in early June. The cases were filed for appeal in the Supreme Court on 13 June, but rejected. Philippines President Rodrigo Duterte has told a U.N human rights expert who said the country’s judicial independence was under threat to ‘go to hell’, warning against interference in domestic affairs. In particular, he has railed against former U.S. President Barack Obama and U.N. special rapporteur on extrajudicial killings, Agnes Callamard, for criticizing the bloody war on drugs, his signature public safety project. A UN human rights expert has expressed grave concerns about public threats issued against the Philippines’ Chief Justice by the country’s President, saying her dismissal, that followed those threats, is sending a chilling message to other supreme court judges and members of the judiciary posing a serious threat to judicial independence. On 11 May 2018, the Supreme Court voted 8-6 to remove Maria Lourdes Sereno from her job on the grounds she had failed an ‘integrity test’. Chief Justice Sereno was appointed the country’s top judge position in 2010. “The decision of the Supreme Court was issued two days after the President of the Philippines publicly threatened the Chief Justice by saying that she was his enemy and that she should be removed from her job or resign,” said Diego García-Sayán, Special Rapporteur on the independence of judges and lawyers.